Those is need of mobile voice dictation can turn to Nuance this week, as the company announced Dragon Anywhere, a paid subscription service that bring’s its desktop voice dictation software to Android devices. With this software, users can dictate pretty much all text input on their Android device. Instead of typing out long emails or texts, simply let Dragon do the work for you. However, as users of Dragon on the desktop already know, you need to speak with proper punctuation, so as to make sure Dragon types exactly what you want to say with proper grammar. 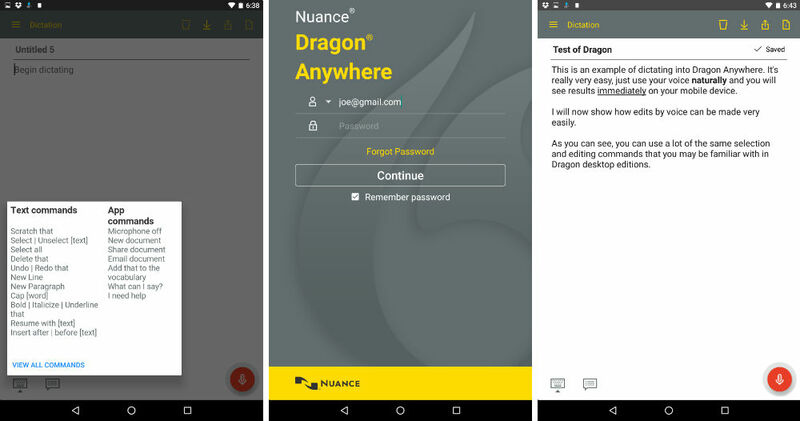 As for pricing, Nuance is offering a free 7-day trial of Dragon Anywhere, but after that, get ready to shell out some serious dough for this software. For a single month, Dragon Anywhere costs $15. If you package months, you get a bit of a discount – a 3 month subscription is $40, and a 12 month package is priced at $150. Yes, that ain’t cheap for voice dictation. If this is something you might need on a day-to-day basis, or for your job, follow the links below to get started.